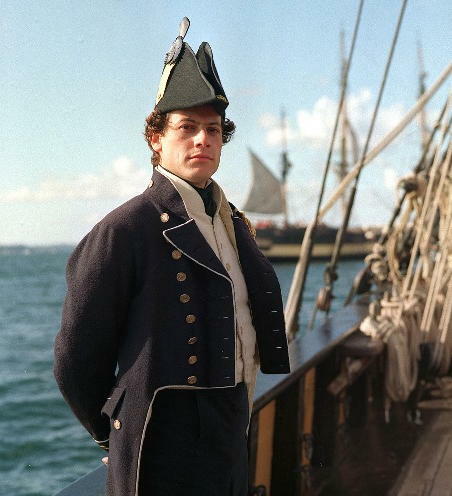 Shot from the British mini-series “Hornblower”, with Ioan Gruffudd. BREAK-OFF. 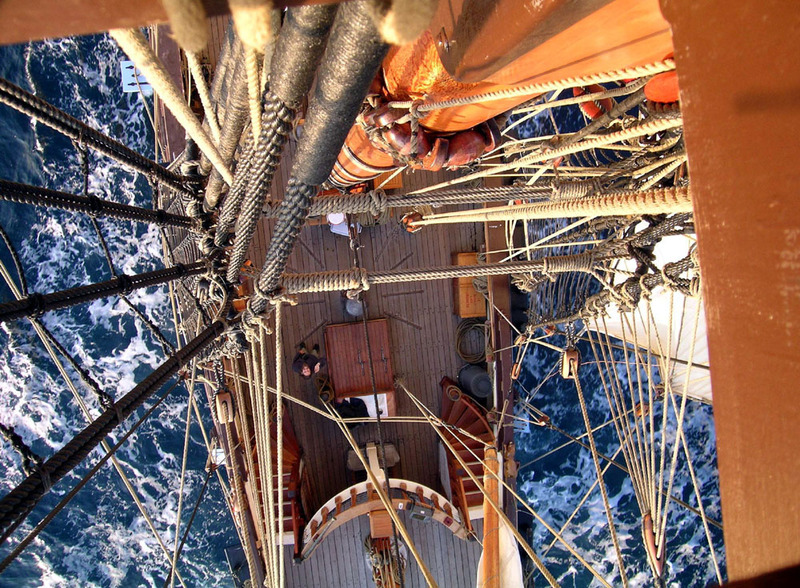 “She breaks off from her course,” applied only when the wind will not allow of keeping the course; applies only to “close-hauled” or “on a wind.”—Break-off! an order to quit one department of duty, to clap on to another. HALF-SPEED! An order in steam navigation to reduce the speed. HALF-TURN AHEAD! An order in steam navigation. HARD-A-PORT! The order so to place the tiller as to bring the rudder over to the starboard-side of the stern-post, whichever way the tiller leads. HARD-A-STARBOARD. The order so to place the tiller as to bring the rudder over to the port-side of the stern-post, whichever way the tiller leads. HARD-A-WEATHER! The order so to place the tiller as to bring the rudder on the lee-side of the stern-post, whichever way the tiller leads, in order to bear away; it is the position of the helm as opposed to hard-a-lee . Also, a hardy seaman. KEEP YOUR LUFF. 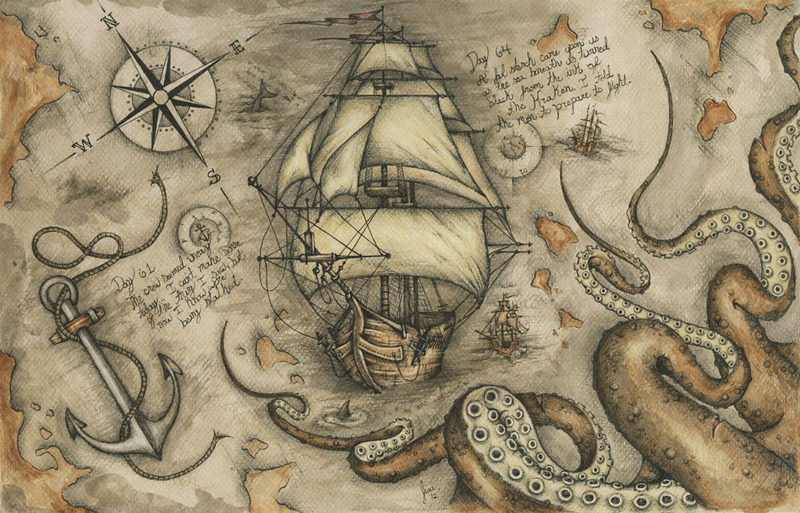 An order to the helmsman to keep the ship close to the wind, i.e. sailing with a course as near as possible to the direction from which the wind is coming. LUFF AND TOUCH HER! Try how near the wind she will come. MAKE A LANE THERE! The order of the boatswain for the crew to separate at muster, to facilitate the approach of any one whose name is called. OARS! The order to cease rowing, by lifting the oars from the water, and poising them on their looms horizontally in their rowlocks.—Look to your oars! Passing any object or among sea-weed.—Double-banked oars. READY ABOUT! or Ready Oh! The order to prepare for tacking, each man to his station. RODE OF ALL. Improperly so written for rowed of all. The order to throw in and boat the oars. Posted in Etymology, Historical Guides, History, Military History and tagged Ancient History, British, Etymology, History, Illustration, Language, Navy, Slang. Bookmark the permalink. Posted in Etymology, Historical Guides, History, Military History and tagged British, Etymology, History, Language, Navy, Slang. Bookmark the permalink. 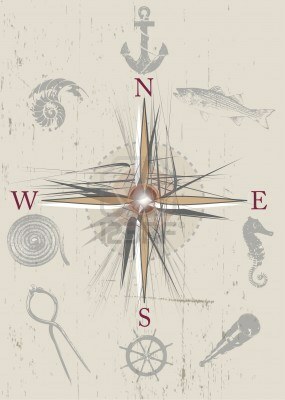 Sea Captain’s Log. If anyone knows the artist’s name, please let me know! SCONCE. A petty fort. Also, the head; whence Shakspeare’s pun in making Dromio talk of having his sconce ensconced. Also, the Anglo-Saxon for a dangerous candle-holder, made to let into the sides or posts in a ship’s hold. Also, sconce of the magazine, a close safe lantern. WAR-SCOT. A contribution for the supply of arms and armour, in the time of the Saxons. Posted in Etymology, Historical Guides, History, Military History and tagged Anglo-Saxon, Dictionary, Etymology, Glossary, History, Language, Navy, Slang. Bookmark the permalink.